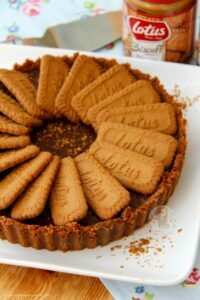 A Sweet and Spiced No-Bake Biscoff Tart – Lotus Biscuit crust, Smooth & Chocolatey Biscoff Filling. Heaven! SO yeah, another Biscoff recipe HAD to happen. I am really in an obsessive Biscoff place at the moment.. like no joke, I made my Biscoff Cake recently and I just craved it even more! 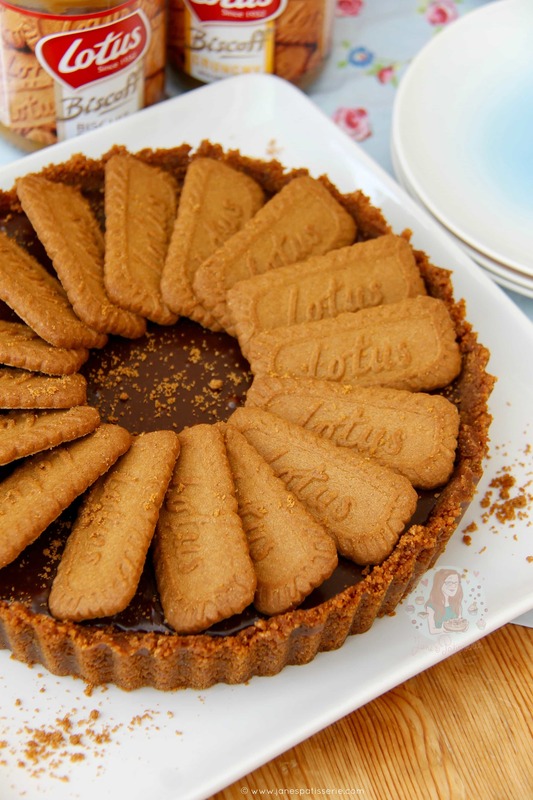 I made another No-Bake Biscoff Cookie Butter Cheesecake and some of my Speculoos/Biscoff Cookie Butter Fudge. 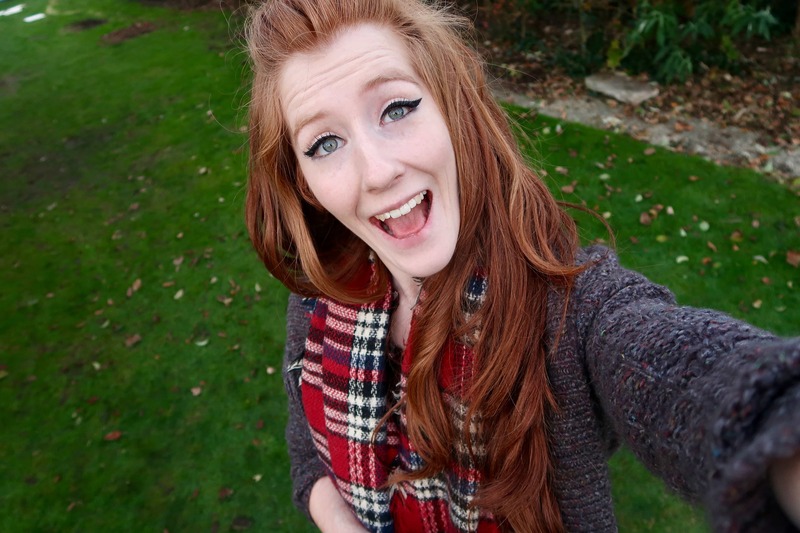 Literally obssesed. 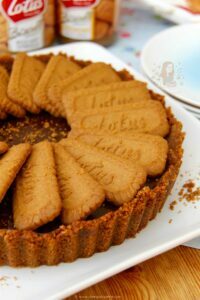 This meant I wanted to experiment a bit more, rather than making the same few recipes every now and again, I thought another delicious Biscoff Dessert was on the cards. After posting my No-Bake S’mores Tart the other day, I thought that this would be a good way to go again. 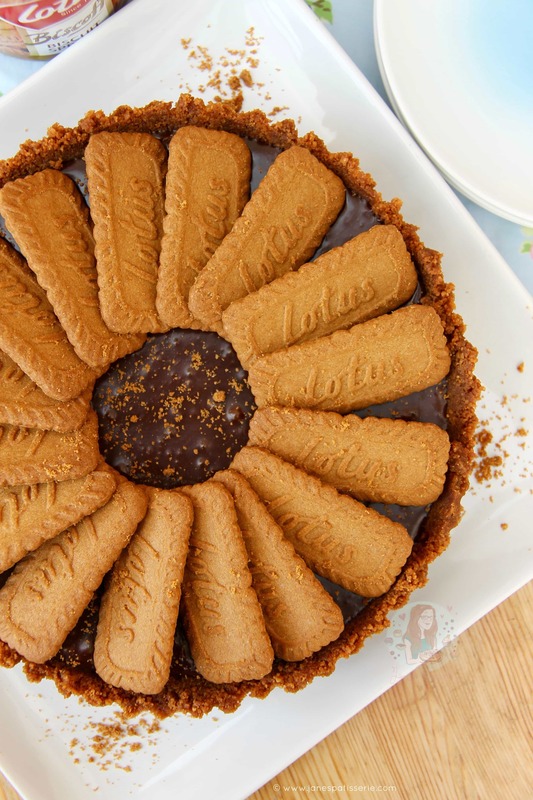 I obviously made it all very ‘Biscoff-y’ by using Lotus Biscuits for the biscuit crust, using Biscoff spread in the chocolatey delicious filling, and then decorating with even more Lotus Biscuits. 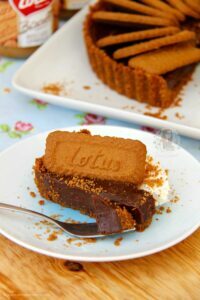 It sounds like a Biscoff Overload, but the richness and silkiness of the Chocolatey filing really does break it up. 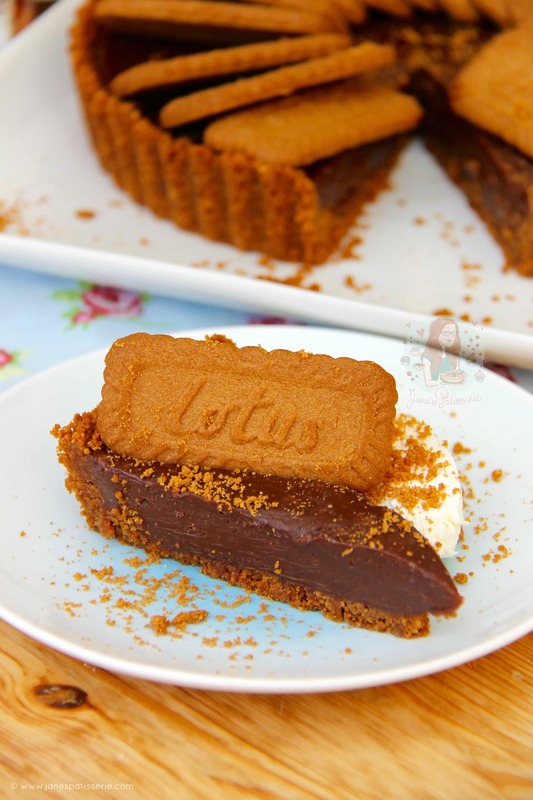 Like my No-Bake S’mores Tart, I used a slightly different type of filling to my other tarts that I have done before – slightly more double cream to chocolate compared to a 1:1 ratio, and with an added bit of butter it makes it silky smooth, easier to cut and utterly decadent. This recipe would of course work with using normal biscuits such as Digestives if you just wanted a chocolate tart to embellish how you please, it really is so versatile. The equivalent to the biscoff spread in the US is speculoos and I believe you can buy the biscuits elsewhere too?! 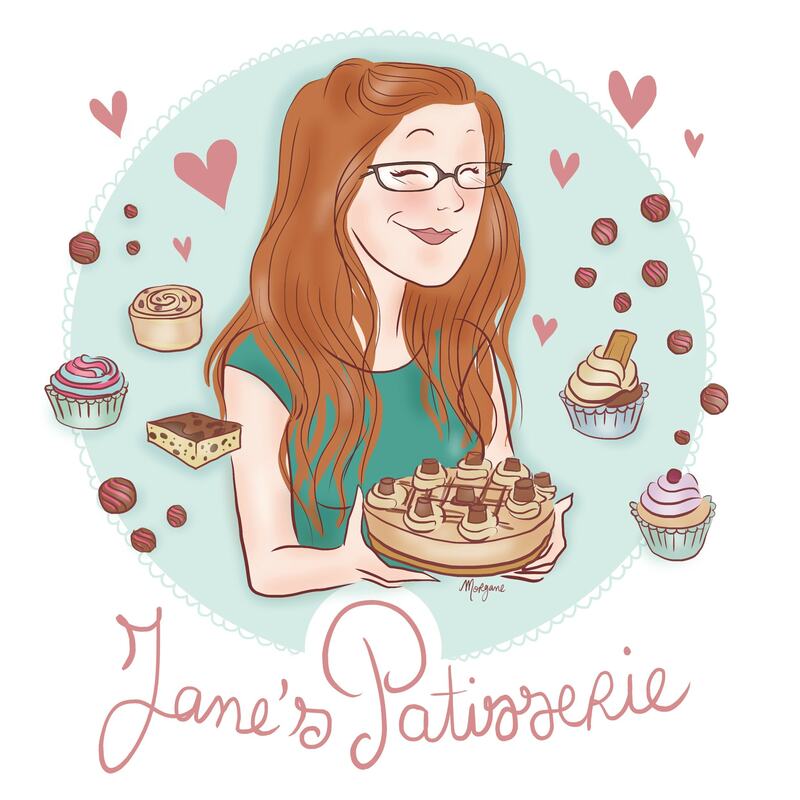 It’s really hard to say what you can buy where these days.. like when I posted my No-Bake Rolo Tart, I had no idea that Rolos are so hard to come by in other countries these days! 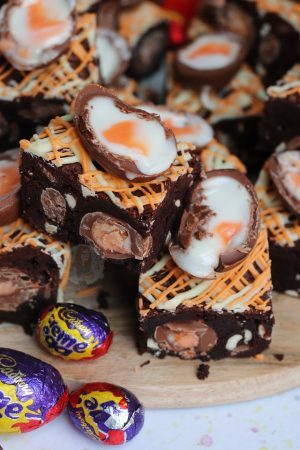 So if you need any help with the recipe, or alternative ingredients then just comment below! 2) For the Chocolate Filling – Chop the chocolates up finely and put into a large bowl with the butter in small cubes and the dollop of Biscoff Spread. In a small pan, heat the double cream until just before boiling point. You will see it starting to bubble at the sides. 3)Once hot, pour over the chocolate, butter and biscoff spread and whisk until smooth! 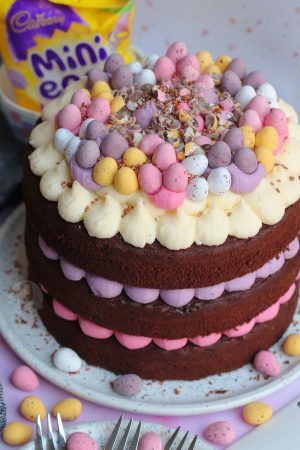 If the chocolate hasn’t fully melted by this point, heat it in the microwave in 10 second bursts, stiring every time – but give it a chance by whisking first as the whisking will help melt the chocolate. 4) Once the mixture is smooth, pour onto the biscuit base and leave to set for 2-3 hours. 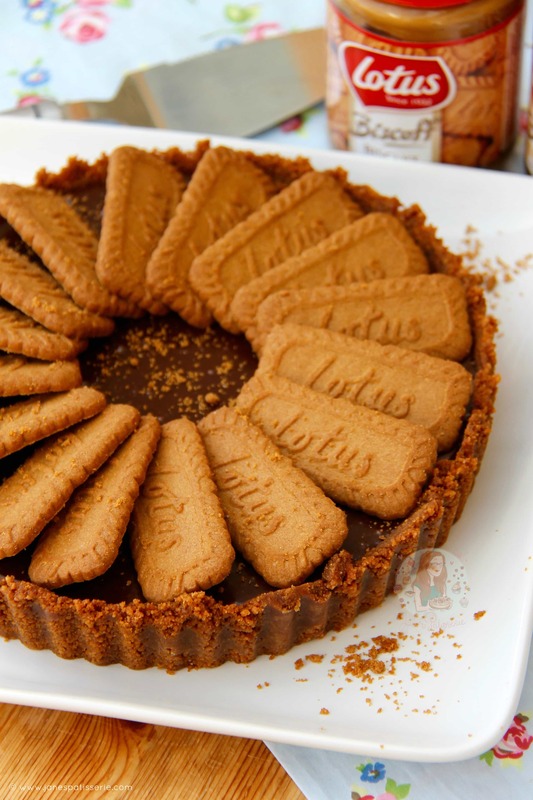 Spread over some extra Lotus biscuits like I have in the pictures. 5) Carefully remove from the tin and transfer to your favourite serving plate – Serve with a dollop of cream, mascarpone cream, or on its own and enjoy! You don’t have to use the Biscoff spread in the filling, but I like the subtle touch of flavour to the filling and it changes the texture. If you do use it, I recommend using the smooth one not the crunchy one! Older Next post: Salted Caramel Millionaires Shortbread! Newer Previous post: Honeycomb Crunchie Fudge! This looks SO GOOD! I haven’t been able to stop thinking about it ever since you posted the first picture on instagram haha! So glad the recipe is available now! Awh it’s okay! I’m glad you love it so much! Thank you! That looks absolutely amazing, those are my favoruite biscuits!!! 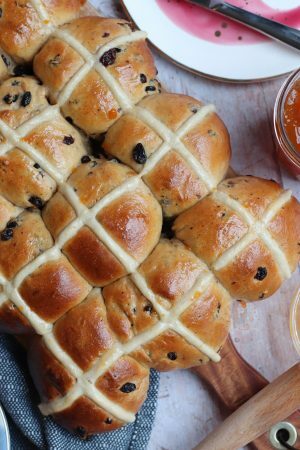 I’m so trying thsi recipe this weekend!